Hey guys, it has been quite long since I commented here. I've been quite busy in real life, working nearly 60-65 hours while maintaining complicated social life. It is hard to say I will be supporting any of my Fallout 3/NV/TES5 mods. If you are hoping for updates on any of my public mods, it is unlikely to happen...not anytime soon. As for ARM quest, people having asking for update or sequel....both of them were at work till end of 2013. I was working on overhaulling the interior cells of the Mythic Dawn and quest structures to provide alternative ways to progress to the last mission, in the middle, my desktop (Intel D800 with HD 4800...yup all my mods were built from this ancient PC) finally died. This is where my mod making session kinda stopped. Later that year I build a new PC but I couldn't really be motivated to work any further. Simultaneously, I was designing a sequel to this mod. I've seen people saying Helanu would have been a companion after the end of ARM...truth to tell you, depending on the choice made in this mod, she was supposed to come back as one of essential NPCs in the sequel. After seeing all the people writing ungrateful and negative reviews, I kinda lost the spirit to work any further on this mod. In the late 2012 and earlier 2013, I was working 12-17 hours a day everyday for this mod, I even literally coughed out blood onto the screen while working on this mod. I am aware that my mods contain bugs,glitches, plotholes and etc, but it was my joy being able to share my imagination with so many people in the community. 1) "My journal will not activate!!" -> I think I figured out why people have this problems and I never had this problem while testing out this mod in 2013. Journal has a script attached that is waiting for player to complete certain part of quest stages in certain order. And each stage can be completed while moving into the invisible trigger boxes located throughout the mod. I've seen some youtubers playing this mod with TCL console command on...if you use these cheat codes, it disables all the trigger boxes in the level, thus, even after you progress the mod, the journal object will still be on "waiting-mode" for player to progress the already-completed-quest-stages. 2) "I cannot pick up xarxes! also infinite number of enemies spawn in that area!" 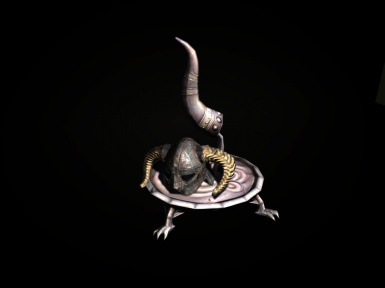 -> Xarxes can only be picked up by the female NPC companion. Also, infinite enemy spawn is intentional. Player was supposed to escape while everyone else was fighting. The design flaw in this mission was that I expected players to follow the NPC to initiate the Xarxes grabbing scene. If friendly NPCs engage in combat and does not withdraw, the quest will be halted. 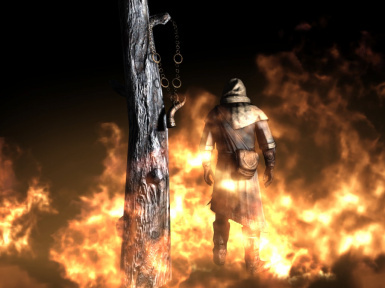 3) "The Mythic Dawn guy is not moving once I escaped from the cave." -> The AI marker is placed in the exterior cells. 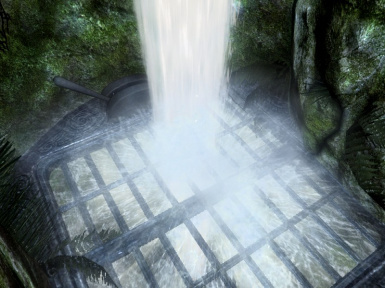 If you have other mods that occupy that region, or used TES5Edit to "clean" (seriously, it is not dirty, it is harmless), it will be deleted along with it. Thus your companion will not lead you to the Mythic Dawn hideout. 4) "Going back and forth to the Inn? this is stupid!" -> I know. The reason why I used that Inn as main source of player-Nirtiuss communication was to minimize the possible conflict with other mods. I could use 10 other interior cells but that would already put more burden on compatibility issues which this mod already has few. 5) Mythic Dawn hideout is too big to navigate. -> This is my fault. I made it big and made each cell interconnected with every other cells. Apparently, this is not what everyone wanted. I apologize. 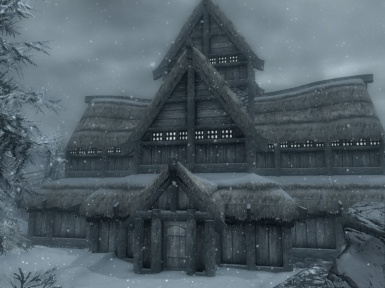 The unreleased update contained about 25% of overhaul which recreated the main hall and the dormitory. At this point, it will be as it is. Lastly, super thanks to all the donors who supported this mod beyond simply clicking endorsement. I've been struggling financially in last couple months and this has been a great help. I truly appreciate it and if I ever come back to create more quest based mods, these donors will likely show up as badass NPCs and anti-heroes. Heya Dree. I made a personal patch for ARM and ETaC, do you mind if I share it? It just moves the Hall to just outside the city wall added by ETaC. You can release anything you want with ARM. Anyone can release anything with ARM or any of my mods as long as you provide me in the credit. Hey would be cool to use both ETaC and ARM! Thank you kindly. Let me just make some tweaks for public consumption and I'll throw it up for the masses. Right now it's a fairly sloppy edit since I just wanted it for myself. journal work and they all have been fulfilled, so I had to manually move to quest to stage 40. Great mod, but I can feel it is crawling with bugs, smaller or greater. It desperately begs for a bugfix or redone version, though I fully understand how difficult it might be. So im on the quest right after you exit the paradise and i spoke to Gaban, but he won't start rigging the explosives. He just stands there. Also im stuck and cant jump or move and cant access my inventory. I tried waiting a bit and using the enableplayercontrols command but Gaban offers no dialogue. I have a problem with activating "my journal" after having killed the orc smith, the option is there, the marker is there but it's refusing to activate so im stuck and can not proceed further how can i fix this problem?? 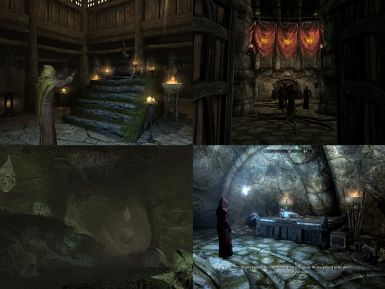 For anyone interested, I uploaded a tweak that moves the Shrine of Stendarr to the outside of Winterhold, to make it compatible with ETaC, JKs etc. (I also added some clutter and Stendarr statues.) 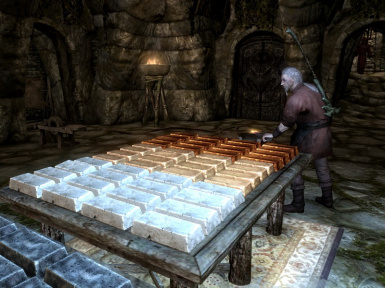 http://www.nexusmods.com/skyrim/mods/69832/? I think you guys did enough on us all. It's dead. Can you please tell me the quest id of the quest: ''Infiltration''? I am having unsolvable problems with it, only way to do it is console. Please tell me. How do you do that? I'm stuck here too. Yes, we need the quest id to use the setstage command. "Mission 2" (kill the silver smith) will not start! Using setstage or completequest dreearmquestmq02 or dreearmquestmq03 ( the Nirtius note "Mission #2" is supposed to start '03' ) does NOT work. That will 'finish' the quest in question, but the next quest STILL will not start. I tried this with dreearmquestmq04 as well. Again, that quest will complete, but the next quest (05) will NOT start. I am not using TCL, and am using very few mods (including Born and Dawn). Does A.R.M. need Hearthfire? Does anyone have a known working fix for this? If so, PLEASE let me know here (spell it out in detail). At present, A.R.M. just will not progress. Anyone know the fix? Anyone? Anyone! BUELLER? I could use that patch, where can I find it? Dree, assuming you come back sometime to see this question, just know that many will be curious about the same thing. Will you be updating this mod for the 64-bit Skyrim Special Edition? I think it comes out two days from this post. Those having a problem with activating the journal after the covert action mission, which is after you kill the smith, you can try using console setstage dreearmquestmq03 40. It worked for me. A sequel was planned, but cancelled due to the author's lack of time. Thank you for such a wonderful Mod.. No bugs at all in my play through.. 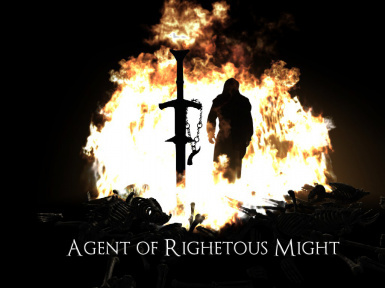 So If any one interested in playing a great story/Quest Mod, You must try it. Anyone port this to Special Edition? So in Heretic's hideout the female companion isn't picking up Xarxes. Hi! I have a problem with Vaden Arethan. Quest ,,Under Moonlight". When conversation between him and other guys over, he probably should go, but he not. He standing on same place all time. I try commands, kill him, disable/enable, rest, wait and teleportating. Nothing. Can you give me solution my problem? Very please, command on console or anything what help me. In this feedback-section there are much more negative comments than this mod deserves. Sure, it is not perfect. But the positive aspects do stand out, imho. 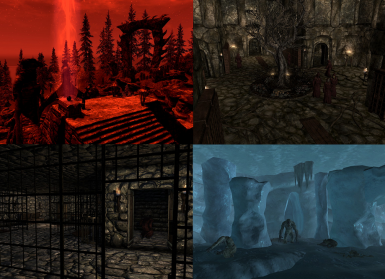 1) It is a quest mod with a nice combination of new areas and reasons to visit familiar places all over skyrim. 2) It is LONG! It's not something that you complete in 1 afternoon. Additionally, it is paced nicely, so that you can do stuff in the meantime while waiting for the next mission etc. 4) It is highly immersive! One really feels like an undercover.agent on a secret mission. 5) Superb voiceacting (could sometimes be a bit louder) and believable NPCs. 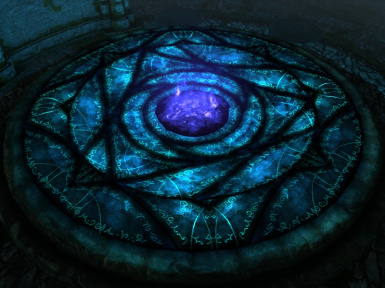 I didn't mind the labyrinth of the hideout, I used the clairvoyance-spell most of the time. All in all an excellent mod. Enjoyed, endorsed, and highly recommended! Same here. That and the huge hideout ruins it for me. 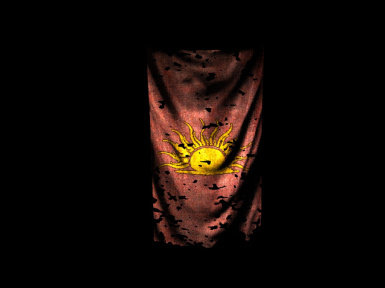 Mod is great, but Mythic Dawn hideout is too big to navigate, that's only con, but if u are like me, u can always use TCL cheat, to skip navigating and enjoy all quests, which are good. Seeing all these negative comments, I wanted to leave a nice one. I know how hard it is to make a mods, especially by yourself, so I will say that despite some bugs, the mod was very well done. It was engaging and had small bits of everything- mystery, betrayal, plof twists, enemies. All in all the mod is good way to roleplay as an agent of stendarr which was my goal from the beginning. Ok, I am probably the dumbest person ever. But, seriously, how do I get over the lever/bridges room? I just can't, I think I spent 45 minutes in there.